OKLAHOMA CITY (AP) – Oklahoma is officially getting its new Republican governor, a 46-year-old political newcomer who promised he’d use his business acumen to make state government more transparent and fiscally sound. Gov. 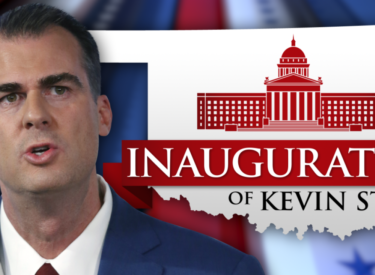 Kevin Stitt and other statewide elected officials will be sworn into office at 11:30 a.m. Monday during a ceremony on the south steps of the Oklahoma Capitol. The start of Stitt’s tenure marks the exit of term-limited Gov. Mary Fallin, a Republican Party stalwart who smashed gender barriers during nearly 40 years in state politics that also included stints as legislator, lieutenant governor and U.S. congresswoman. Stitt will outline his agenda in a State of the State address on Feb. 4.